I have around a gross of jokers in what I call, the real people section. These are contemporary people on jokers. They're not cartoon characters or distant (ie Pre WWII) figures. There are a number of familiar faces in this section that I cannot identify. Can you? 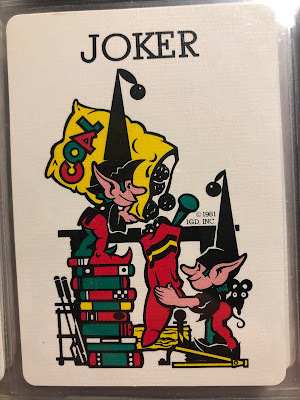 Can you help me identify who is on these jokers? NOTE - I also posted this in the FB Joker Collectors Club. I'll post the info that I learn as I learn it. On the right, William Buckley. Left??? Number 3 - Late Night TV hosts? 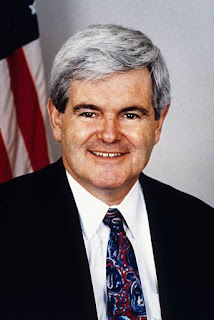 Its Newt Gringotts on the left. Newt Gringotts on the Left. number 4? medipment.pl - The PL is for Poland but who are these people? 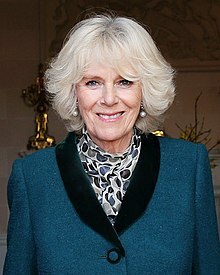 This next one appears to be Camilla, Duchess of Cornwall. Don't know Omar from Funny Girl? Any and all help appreciated? 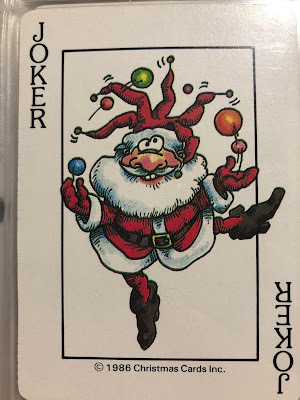 It's that special time of the year so I'm making an inventory of my forty four Christmas jokers. 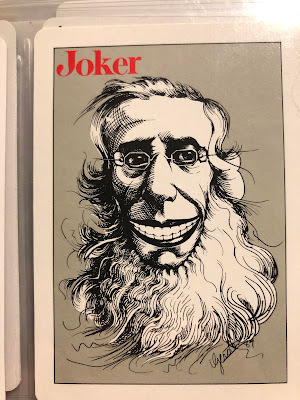 These first jokers are typical of a set of about twenty jokers that I have that use art work from two influential Twentieth Century US artists: one widely known and one equally influential but largely unknown. One set featuring the widely celebrated Normal Rockwell, are published by Curtis Publishing. They usually feature Saturday Evening Post cover illustrations of Christmas themes on the front and back. Curtis was the publisher of many magazines in the 1900s including the Saturday Evening Post. Curtis is now largely a licensing company with Normal Rockwell's images as their primary asset. Intermingled with Norman Rockwell imagery is artwork by the less famous but as influential artist called Haddon Sundblom. For Coca Cola, one of his big series, he did an art series that defined the modern Santa as human (not supernatural or too Sainty), jolly, and tubby. 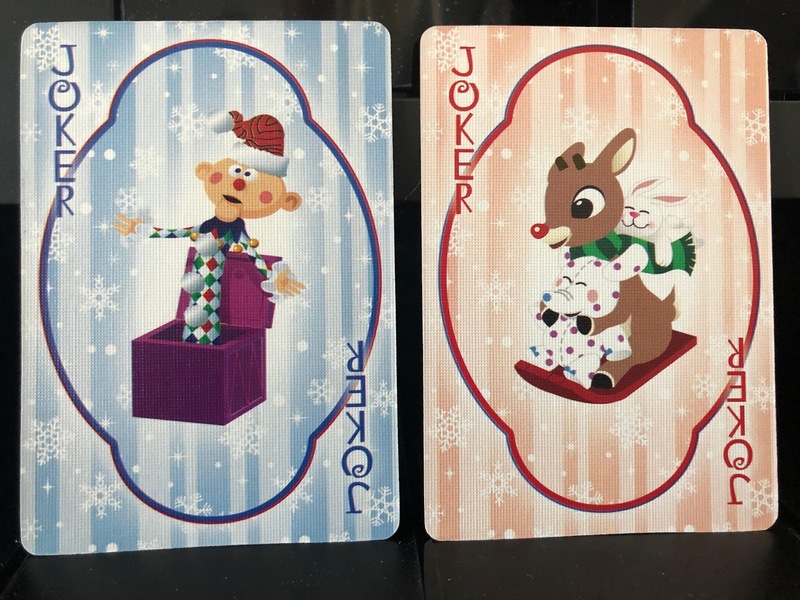 These images are on the back of the cards in color and repeated in black and white on the joker. BTW, thanks to Jan Walls of Australia on the FB Joker Collecting Group for being the first to tell me about Haddon Sundblom. Wikipedia says: According to the Coca-Cola company: "For inspiration, Sundblom turned to Clement Clarke Moore's 1822 poem "A Visit From St. Nicholas" (commonly called "'Twas the Night Before Christmas"). Moore's description of St. Nick led to an image of Santa that was warm, friendly, pleasantly plump and human. For the next 33 years, Sundblom painted portraits of Santa that helped to create the modern image of Santa – an interpretation that today lives on in the minds of people of all ages, all over the world." A Russian St Nicolas! Notice how in this tradition, he looks very different than the modern American (and now global) Santa Claus. Next there are some annoying elves carefully filling the gift stockings with pieces of coal. Next, a crazy juggling Santa. A serious Santa with really big teeth. The match to the juggling Santa, this is the snoozing Santa. Dickens: Ebeneezer Scrooge from A Christmas Carol. Here are the Christmas pages, all artistically balanced. It starts with two and a half pages of artwork by Normal Rockwell and Haddon Sundblom. One note for those of you who actually look at the backs and try to match them up to the fronts just above. Be aware that they are sort of reversed so the back of the joker above on the top left is shown below in the top right. Confused? Think about it. Imagine a page of nine cards being flipped to show the back. Anybody paying close attention? Notice what's wrong in the image above? Tell me what's wrong with it and you can have five duplicates from my collection of your choice. Note, I have many hundreds, maybe thousands of dupes! Note that the GingerBread Man joker is in the cartoon section although arguably, he could count as a Christmas joker.